A jury in the northwestern state of Oregon has acquitted seven people involved in the armed occupation of a national wildlife refuge. After the decision on Thursday, a lawyer for the leader of the group Ammon Bundy demanded the release of his client immediately. He also repeatedly yelled at the judge. U.S. marshals seized lawyer Marcus Mumford and used a stun gun on him several times. The lawyer was then arrested. U.S. District Judge Anna Brown said she could not release Bundy because he still faces charges in the state of Nevada. The charges involved an armed incident on the property of his father Cliven Bundy two years ago. The jury in the city of Portland found Bundy, his brother Ryan Bundy and five others not guilty of preventing federal workers from doing their jobs. The incident took place at the Malheur National Wildlife Refuge, about 500 kilometers southeast of Portland. Lawyers for the seven said it was a surprise victory for the defense. The U.S attorney in Oregon defended the decision to bring charges against the seven people. He said, "We strongly believe that this case needed to be brought before a court, publicly tried, and decided by a jury." 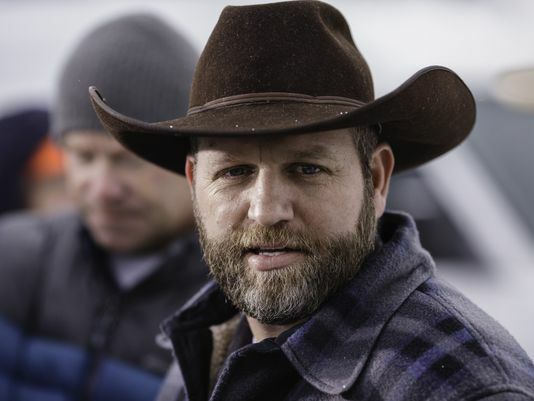 Ammon Bundy and his followers began their occupation of the refuge by force on January 2. They were protesting prison sentences given to Dwight and Steven Hammond, two local ranchers found guilty of setting fires. They demanded that the government free the father and son and give control of public lands to local officials. The refuge takeover earned sympathizers from around the West. The Bundys and others involved in the occupation were arrested outside the refuge in late January. The incident ended with police shooting and killing Robert "LaVoy" Finicum, an occupation spokesman. Federal prosecutors took two weeks to present their case, finishing with a display of more than 30 guns taken after the standoff. Some people protested that the armed occupation was preventing others from using the land. Kieran Suckling is executive director of the Center for Biological Diversity. He called the acquittals disturbing. He said the Bundy family and their followers were acting dangerously. He worries the decision will give other people confidence to use violence and intimidation for similar movements. A guard zapped him with the stun gun. They were found guilty of murder. China is backing a Russian proposal aimed at resolving Iran's nuclear standoff with the West. 1.The incident ended with police shooting and killing Robert "LaVoy" Finicum, an occupation spokesman. 2.They were protesting prison sentences given to Dwight and Steven Hammond, two local ranchers found guilty of setting fires. They lit a torch and set fire to the chapel's thatch. They set fire to vehicles outside that building.